Since the start of the token swap on Mar 10, major exchanges that support IOST mainnet token swap are automatically swapping IOST tokens from ERC-20 to mainnet tokens. In addition, a series of Dapps are gradually being released online. With various contributions from close to 200 IOST Global Partners, the release of IOST iWallet and multiple DApps, IOST is on track to attract a large number of users and we believe a comprehensive and inclusive IOST ecosystem is taking shape. Here, we extend a big thank you to Lucas, who has developed the iWallet Chrome extension for IOST, for his excellent contribution. This article is written to help IOST users fully understand the A-Z of the IOST blockchain, and how you can use IOST Dapps easily. We have summarised the common questions from the community and answered these questions below. We hope this article will give you some insights into blockchain technology and how the IOST ecosystem operates. 1. What are the resources of the IOST mainnet? Working off the developments made by earlier projects in the blockchain industry, IOST has designed a significantly more user-friendly and equitable system for the classification, allocation and use of mainnet resources. IOST key network resources are divided into (a) iGAS and (b) iRAM. iGAS are the transaction fees to be paid when you make a transaction on the IOST mainnet. 3. How can I get iGAS? You can get IGAS by staking IOST. When you don’t need iGAS anymore, you can redeem the same amount of IOST that you have staked before. By staking 1 IOST, you can get 100,000 iGAS / day. Every time you stake 1 IOST , you will receive 100,000 iGAS immediately, and 100,000 iGAS is produced on the same day and beyond on a daily basis. The maximum limit for each user for iGAS is 300,000 times the number of IOST staked (i.e. you will charge to the maximum limit in 2 days). When iGAS is less than 300,000 times, iGAS will continue to be produced as per its iGas production speed. 4. How much iGAS will be consumed when making transactions on IOST Mainnet? The transaction speed will be faster if users pay more iGAS. Each time a transaction is initiated, the system first calculates the number of iGAS that is available in your account and will use this amount to pay the transaction fees. Ordinary users can use the default rate if you are not in a hurry to complete your transactions. iGAS quantity = CGas (Command Gas) consumption* number of commands * Gas ​​rate. 5. How will iGAS usage benefit users in the IOST ecosystem? You will get iGAS only by staking IOST, and iGAS will not cost you any tokens. We make IOST truly free for users, with no barriers. 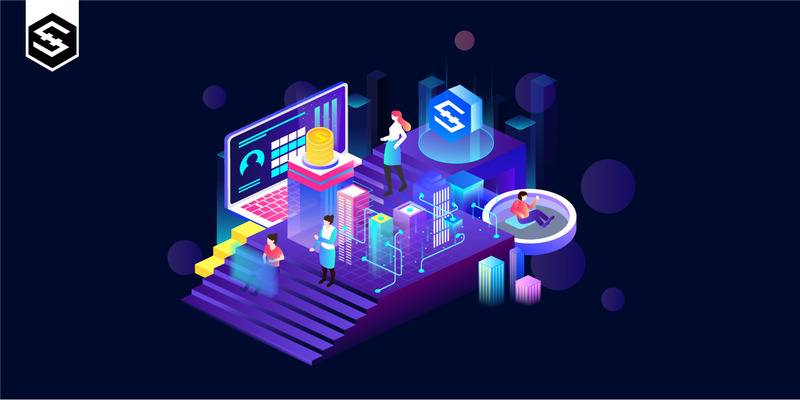 This method of calculating iGAS effectively avoids the problem of large wallet holders staking a large number of IOST to monopolize large amount of system resources, and allowing these resources to idle. This iGAS calculation mechanism therefore ensures a level playing field for ordinary users and significantly improves the utilization efficiency of system resources as well. You can receive IOST storage resources using iRAM. iRAM plays an important role in DApp development. IOST’s iRAM calculations uses the Bancor algorithm. The iRAM resources are limited and can only be traded once. The initial limit of the iRAM system is 128G. Users are charge 2% of the admin fee for buying and selling iRAM to the system, and this admin fee will be burnt. The user’s iRAM may also be used when calling a system contract. 7. How can I get iRAM? You can purchase iRAM from the system or give iRAM to other users. The iRAM that the user is given cannot be sold to the system, nor be transferred to other users a second time. Hope you now have a clear understanding of the operation mechanism of IOST system resources! A good user experience on IOST Dapps is the top priority for us. To achieve this aim, we have made significant improvements to IOST that specifically addresses the pain points that other public chain projects are grappling with, such as transaction costs, transaction speed and decentralization. IOST will deliver on its promise to be the most usable DApp platform besides ETH, EOS, and Tron!